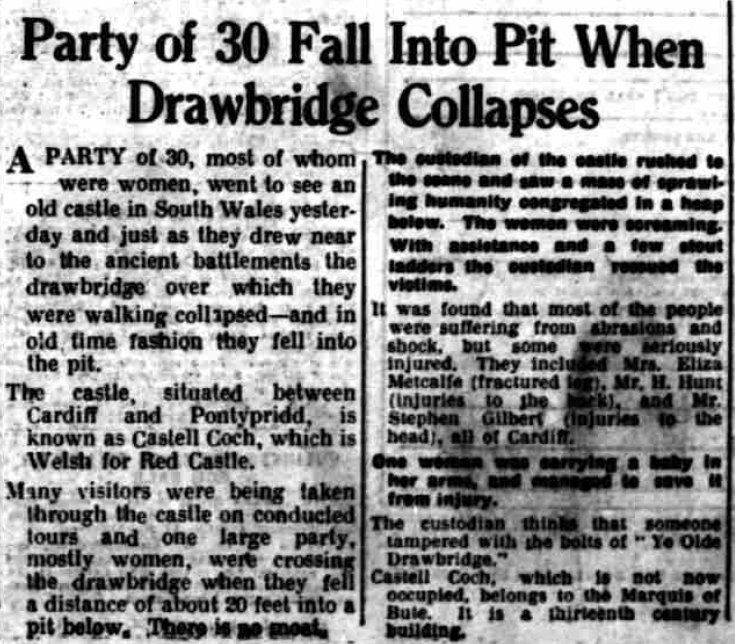 The Birmingham Gazette reported on 11th April 1936 that 30 visitors fell off the drawbridge at Castell Coch when it collapsed. There were some serious injuries but most of the group escaped with minor abrasions. One of the women was carrying a baby who, thankfully, wasn’t hurt. The custodian of the castle thought that the bolts on the drawbridge were deliberately tampered with. With thanks to Trinity Mirror. Digitised by Findmypast Newspaper Archive Limited. All rights reserved. 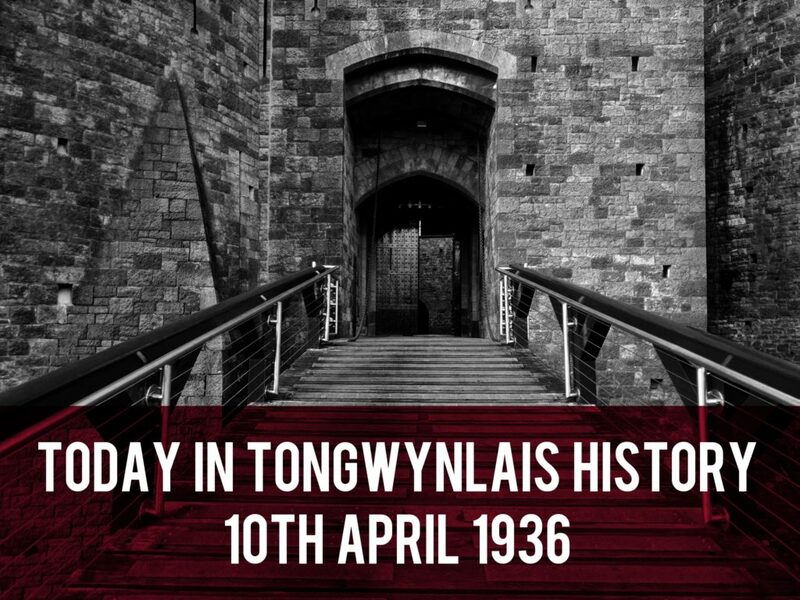 “A party of 30, most of whom were women, went to see an old castle in South Wales yesterday and just as they drew near to the ancient battlements the drawbridge over which they were walking collapsed – and in old time fashion they fell into the pit. The castle, situated between Cardiff and Pontypridd, is known as Castell Coch, which is Welsh for Red Castle. Many visitors were being taken through the castle on conducted tours and one large party, mostly women, were crossing the drawbridge when they fell, a distance of about 20 feet into a pit below. There is no moat. The custodian of the castle rushed to the scene and saw a mass of sprawling humanity congregated in a heap below. The women were screaming. With assistance and a few stout ladders the custodian rescued the victims. It was found that most of people were suffering from abrasions and shock, but some seriously injured. They included Mrs. Eliza Metcalfe (fractured leg), Mr. H. Hunt (injuries to the back) and Mr. Stephen Gilbert (injuries to the head), all of Cardiff. One woman was carrying a baby in her arms, and managed to save it from injury. This photo, from the Hulton Archive, is dated 11th April 1936. The custodian must have quickly put the bridge back in place as it looks perfectly fine. Maybe this backs up the claim that the bolts were tampered with and it was easy to put back together. The drawbridge also collapsed in 2010 when a crane was trying to cross it. 51 people were trapped inside but no one was hurt.